Living in Colorado means you get to see a lot of big game, sometimes walking right by you on a hike! (Although that never seems to happen during hunting season). We decided to take some classic big game hunting needlepoint concepts and reinvent them with updated detail so the outdoorsman has something traditional and truly special to wear. 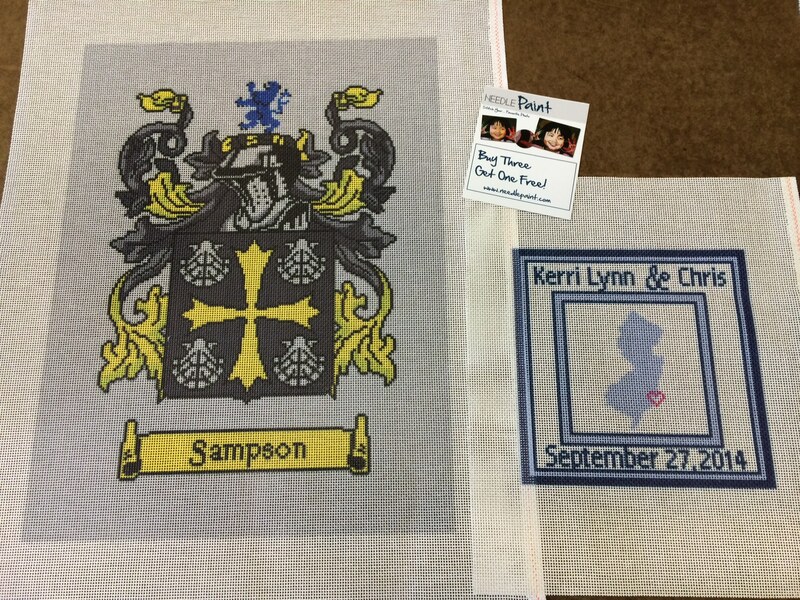 Keep in mind that we can change the background color and add a monogram at no extra charge! 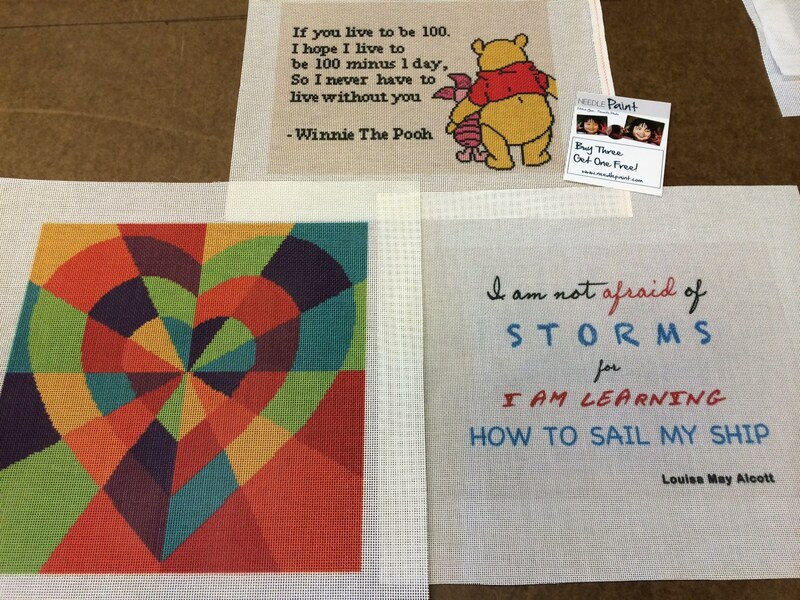 Also, if you love to stitch, all of these designs are available as needlepoint canvases. Starting with the new designs, the big game profile needlepoint belt features a moose, an elk, and a buck on a hunter green background. 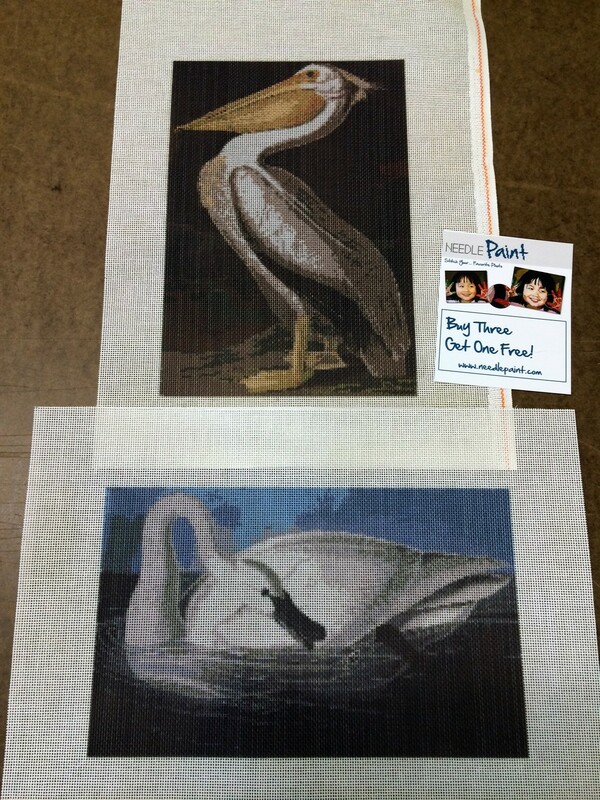 One picture shows a lot of fun to needlepoint! 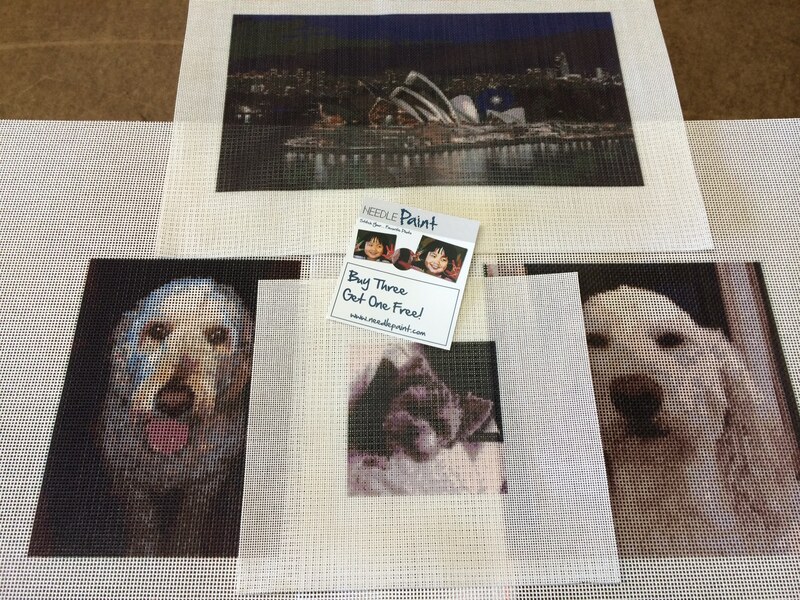 Three new needlepoint belts that are sure to inspire dog lovers. We’ve done a lot of custom needlepoint belt designs with dogs on them, and realized that our dogs make great stand alone belts. Labs have so much personality, and so do their owners! Our distinguished black lab needlepoint belt shows the dog at attention and spices up the wardrobe with an azure blue background. Traditionally used for flushing out game while hunting, the English springer spaniel’s great temperament also make great family dogs. 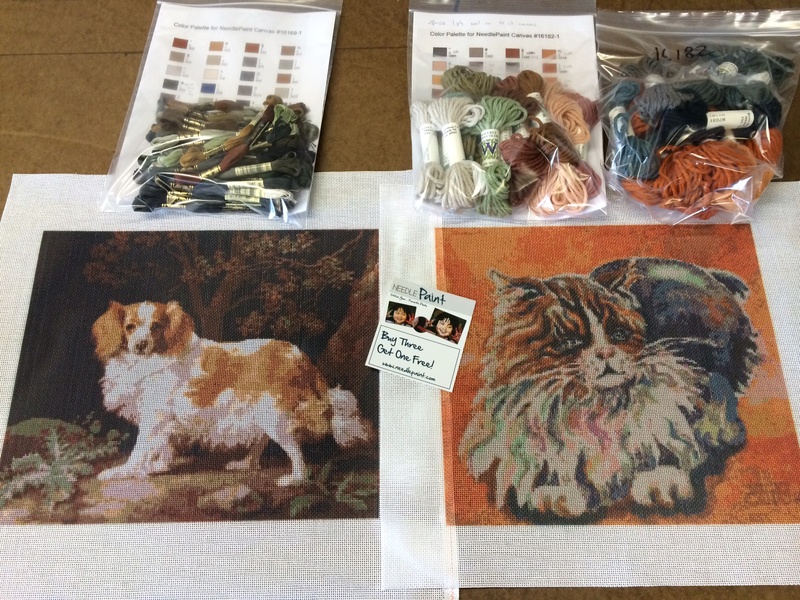 The springer spaniel needlepoint belt is designed with the spaniel at attention, and this version is with a brown markings, but we also have black. Beagle lovers will recognize this posture of howling in delight captured on the beagle needlepoint belt. 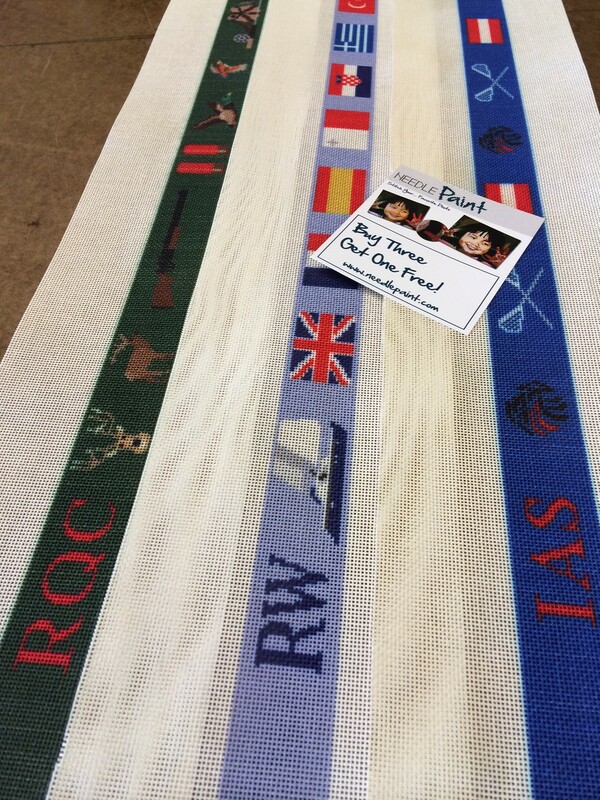 All of our belts and needlepoint canvases are customizable. The background colors, the markings on the dogs, and add a monogram at no extra charge. 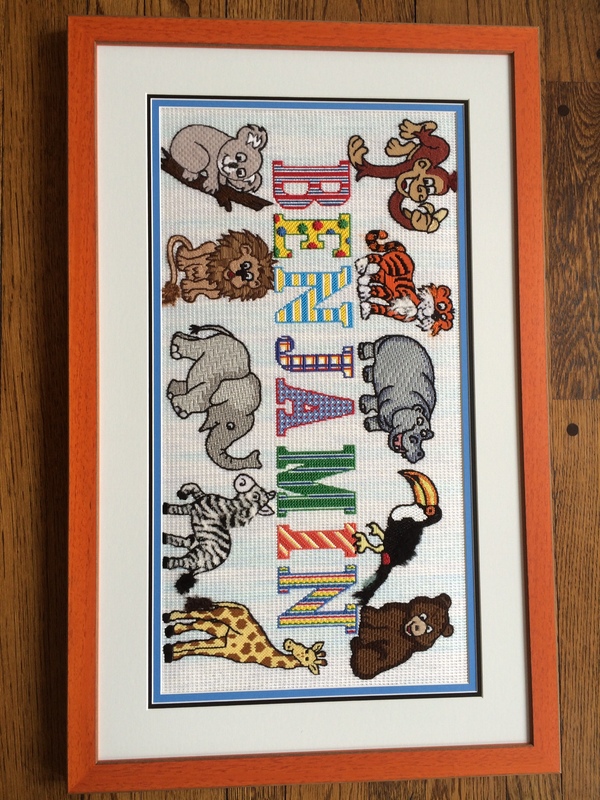 Also, every belt design is available as a needlepoint kit for you to stitch yourself. 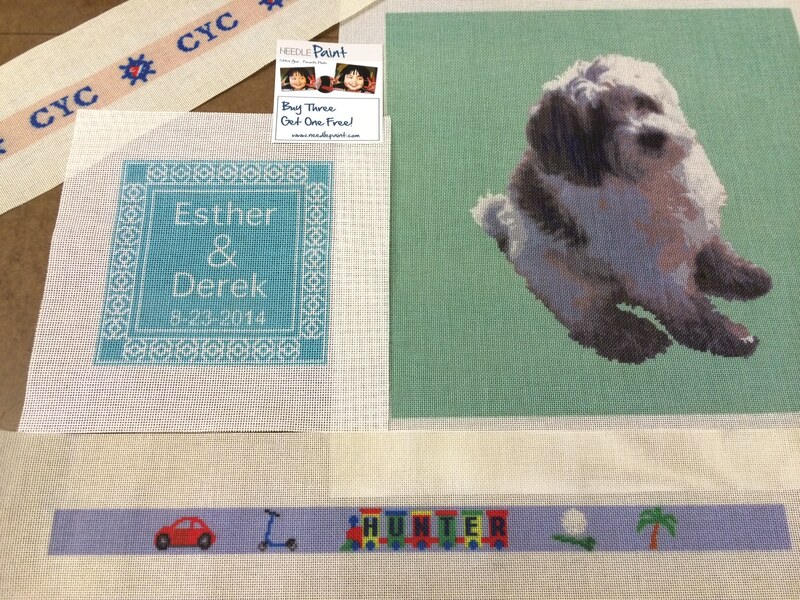 If you love to needlepoint dogs, we’ve got a lot more designs in our shop! 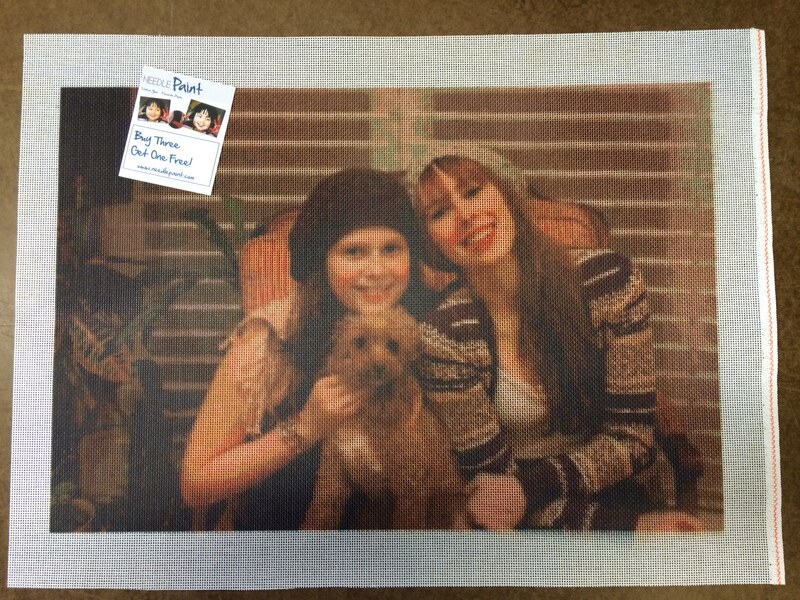 How great is Tracy (our designer)? 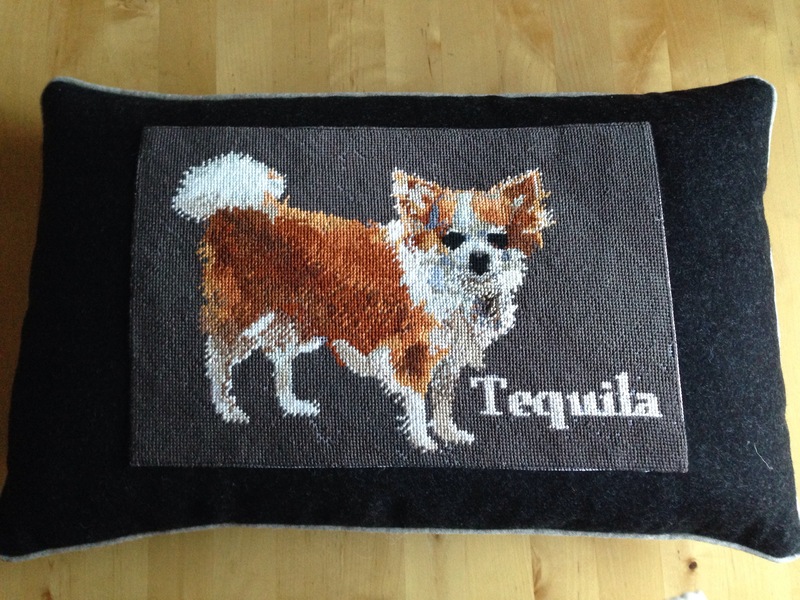 I think she is wonderful and if you agree, why not let her know by leaving some feedback in the comments about her work on the new Tropical Gamefish Needlepoint Belt! 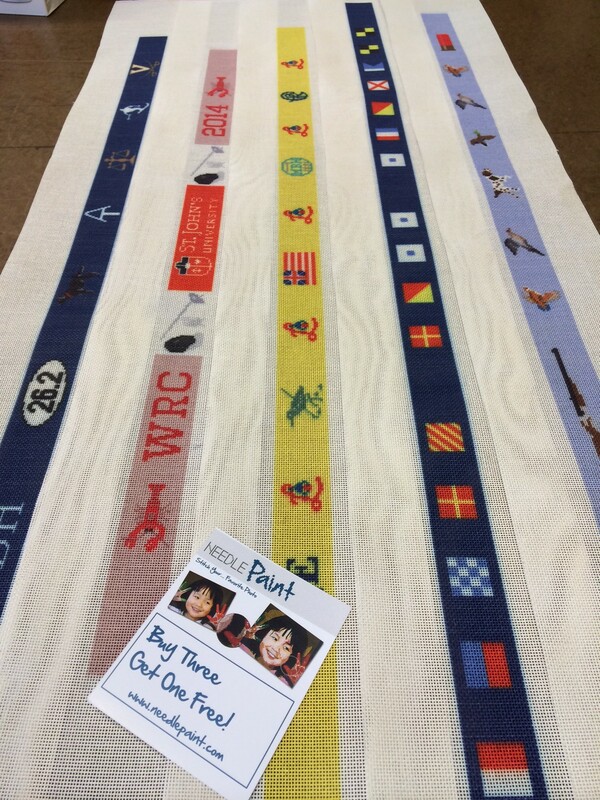 Boating and needlepoint have long ties, the look and quality of a hand stitched belt makes the outfit at the tournaments. Or, when just wearing it around town, people will stop and stare at this design. 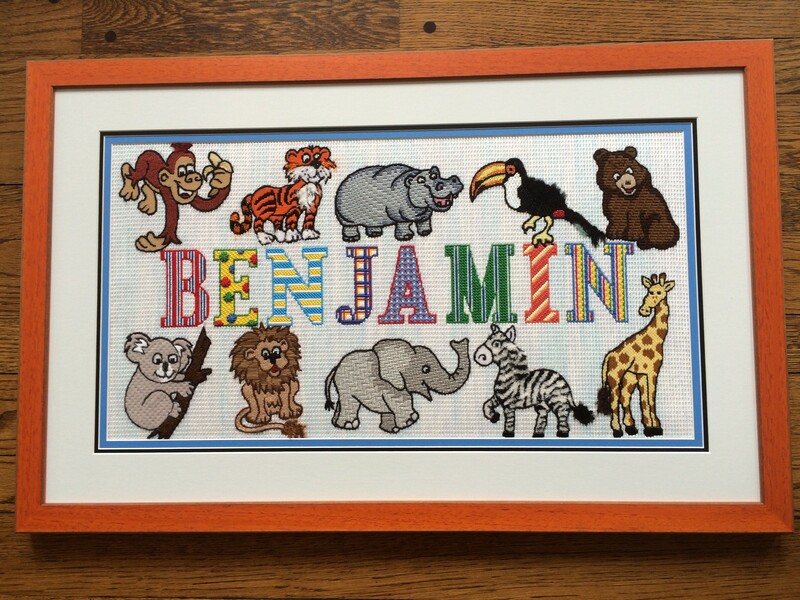 This design is also available to stitch yourself as a gamefish needlepoint kit. This belt features many of the favorites: Marlin, Bluefin tuna, Wahoo, Yellowfin tuna, Mahi Mahi, Swordfish, King Mackerel, Sailfish, and Blackfin tuna. But, if there is something missing or you want to adjust the order, just let us know! Custom monograms are Free, and you can even change the background color. Don’t forget to let Tracy know if you love the design! New ideas and old designs have been remixed for generations. 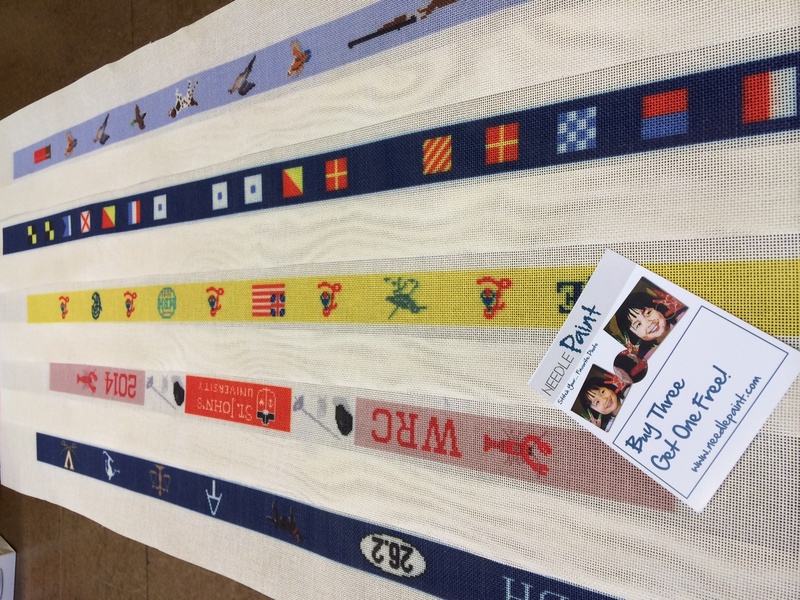 Our latest twist is the classic phone app needlepoint belt. Inspired by Steve Jobs and his team’s work on the original iPhone. 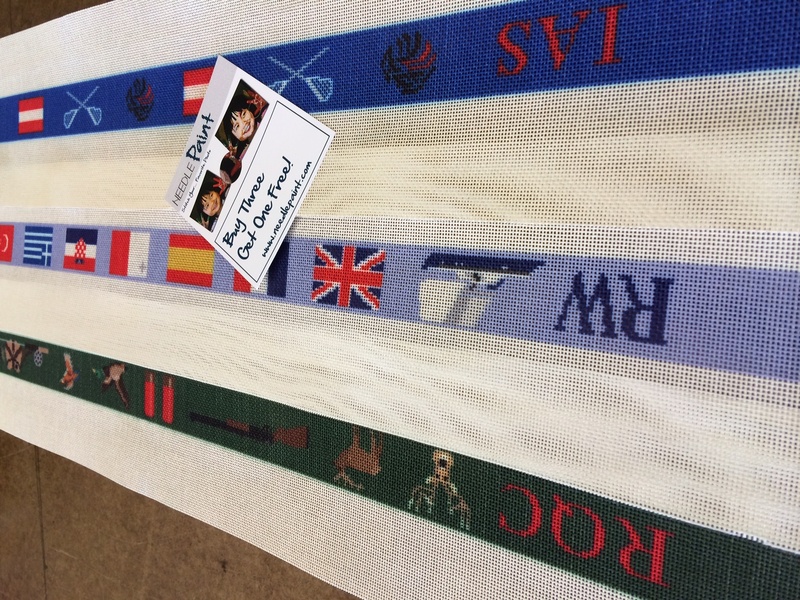 We have interpreted the concepts onto a needlepoint belt. Some (me included) will say that these are timeless designs and favor them over the new designs that now grace my phone. This would make a great gift for somebody in the tech industry or who spends a lot of time on their phone or computer. The design is calling out for customization, such as adding your favorite app (facebook, yelp, etc..) or an app that somebody you know may have created! 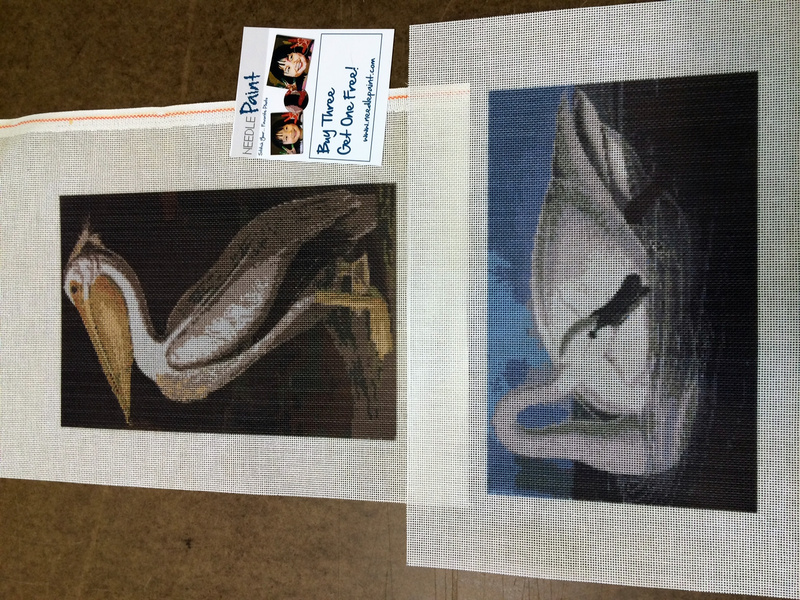 Our customers have been keeping us busy with some great new custom needlepoint canvases! 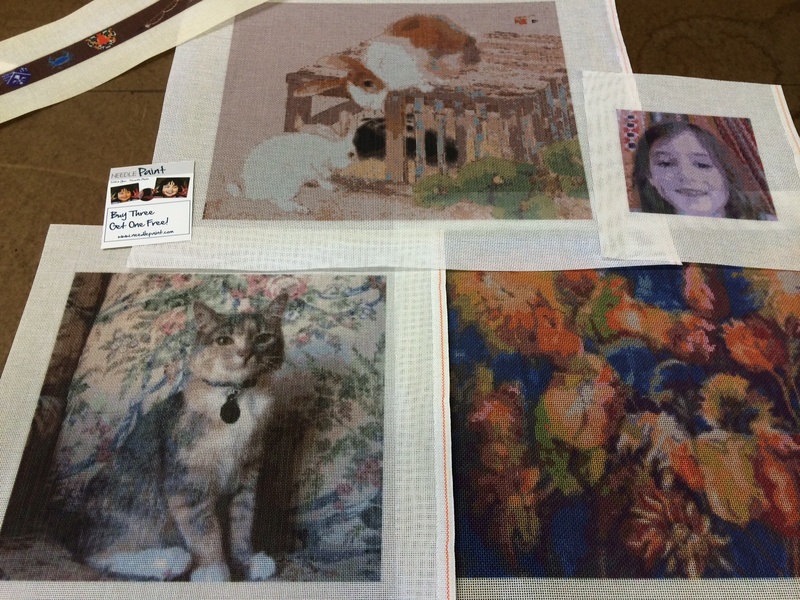 We’ve been in touch with a water color artist, who’s art is amazing (see the cat below on the right) It is tricky to transfer the feel and layers of water color, but I have a felling this is going to be stunning when we stitch it into a pillow! We’ve got an amazing new sailboat and the flags of some sailing destinations in Europe. Also note the new Elk I designed last week on the hunting belt. 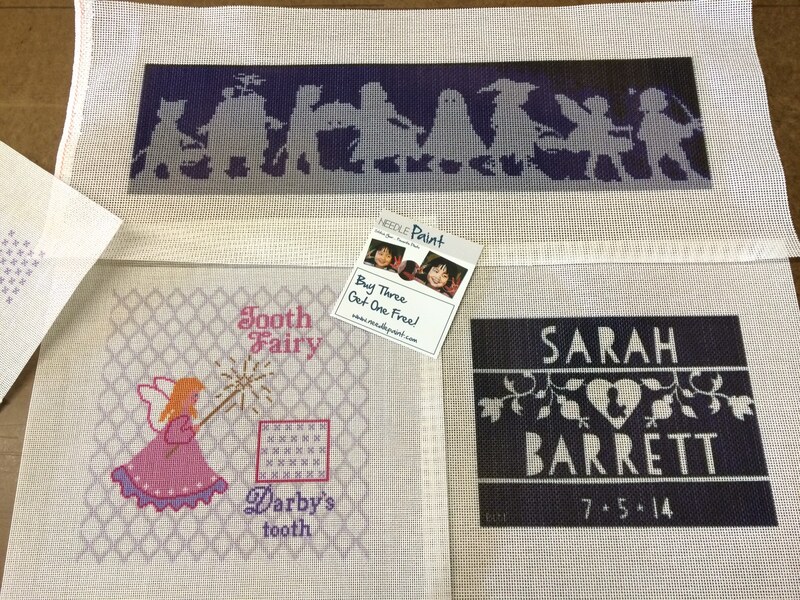 These are some fun designs, one is for a wedding the others for kids. 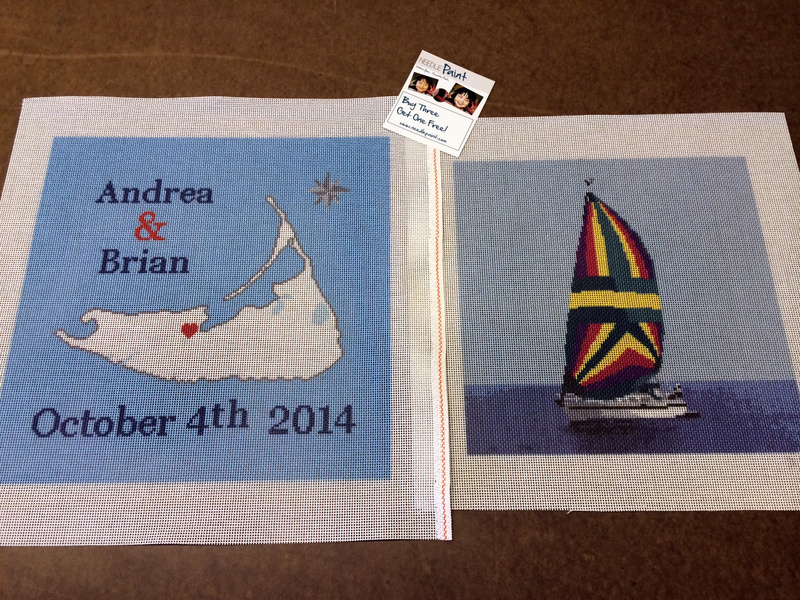 I love the tooth ferry pillow, we made an extra little canvas for the pocket to go on the outside!